Applicants must be between the ages of 25 and 35 years. Fellows must be fluent in spoken and written English as all programmes will be conducted in English. Please note that application for admission to the Kashim Ibrahim Fellows Programme is entirely an online process. There are no paper forms to complete or mail. Click here to apply. Prior to the deadline of 20th March 2018, you may work on your application at any time and submit it when you are ready. After creating an account and accessing the online application, you can upload materials and request your letters of recommendation. 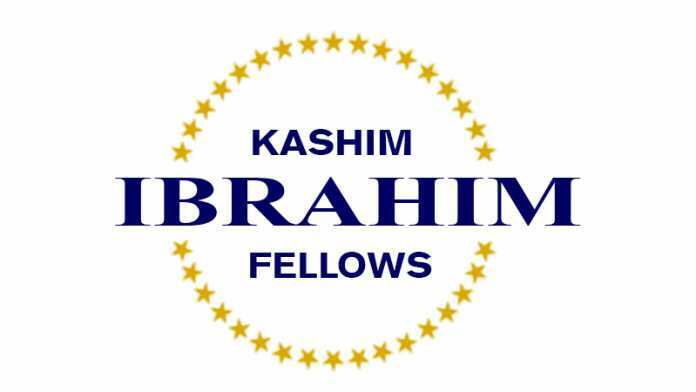 Visit the Kashim Ibrahim Fellowship website. The Hurford program seeks to build the leadership skills, enhance the organizational talents and harness the potential of emerging democracy leaders from around the world. Through the Hurford Program, two young activists per year spend four months at NED during which time they expand their global network, learn lessons from activists from democracy movements around the world and contribute to the development of the world. · Each fellow will receive a monthly stipend for living expenses, plus basic health insurance and roundtrip travel to and from Washington, D.C. Stipend takes into account the cost of living in Washington, D.C.
· Fellows are provided with a fully equipped office, including internet and e-mail access, and a limited budget for fellowship-related long distance phone calls. · Applicants interested in the Hurford Youth Fellows Program must be no older than 30 years of age. · They must demonstrate strong interest in democratic activism and in the advancement of democracy in their respective communities, as well as worldwide. Youth affiliated with civil society organisations are especially encouraged to apply. · A working knowledge of English is an important prerequisite for participation in the program for general communication purposes. All application materials must be submitted in English. 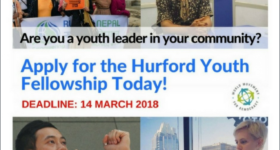 · The Hurford Youth Fellows Program is open to applicants from any country. It does not provide scholarship funds or any other type of financial aid to university or graduate students, nor is it designed to support postdoctoral research. Ca’ Foscari University of Venice is inviting applications for 13 open Visiting Scholar Fellowship positions for 7 senior researchers and 6 Junior researchers. Researchers must be of any nationality. As part of its internationalization initiatives, Ca’ Foscari University of Venice is launching a Call for Applicants for Visiting Scholar Fellowships (individual mobility grants). 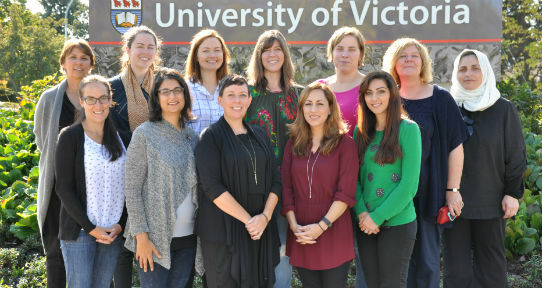 This Visiting Scholar program will provide funding to 13 researchers (7 senior researchers and 6 Junior researchers) with established research experience. Course Level: This is a visiting research fellowship program for young and senior researchers. Study Subject: Applicants must be affiliated with universities outside Italy and will be invited to collaborate on research activities with the relevant departments at Ca’ Foscari and to contribute to their academic activities held in English. Relevant topics and sought fellowship levels are detailed by each department in the call. Scholarship Award: Each grant will be up to a maximum of EUR 12,000.00 as a gross corporate cost, including mobility expenses. Number of Scholarships: Up to 13 positions are available. 6 Young Talent Fellowship positions lasting 3 months are open to young researchers with 2 to 12 years of postdoctoral experience. 7 Advanced Fellowship positions lasting 2 months are open to senior researchers with at least 10 years of postdoctoral experience. Eligible Countries: Researchers must be of any nationality. Eligible applicants are researchers affiliated with foreign universities. Experience in leading research groups and conducting/coordinating international projects and a proven aptitude for obtaining research funding will be highly valued. Candidates must be fluent in English (both written and spoken). Although knowledge of the Italian language would be considered a practical advantage, it is not required. Researchers of any nationality with at least 10 years of postdoctoral experience. These candidates apply for a Visiting Scholar fellowship lasting 2 months. Researchers of any nationality with 2–12 years of postdoctoral experience. These candidates apply for a Visiting Scholar fellowship lasting 3 months. English Language Requirements: Candidates must be fluent in English (both written and spoken). Although knowledge of the Italian language would be considered a practical advantage, it is not required. The Department of Information Systems, University of Cape Town (UCT) is looking to recruit outstanding candidate for the post-doctoral researcher position in the area of mobile bullying and information security. · Course Level: Fellowships are available for pursuing postdoctoral programme. · Study Subject: Fellowships are awarded in the field of Mobile bullying & Information Security. · Scholarship Award: The value of the Fellowship is fixed at R150 000 per annum and is tenable for one year. No relocation expenses are available. An additional R60 000 will be available during the year for Miscellaneous expenses and conference travel. The Fellowships carry no benefits and a directive for tax exemption will be applied for by UCT on behalf of the successful candidate. · Eligible Countries: Both South African and foreign candidates are eligible. Applicants must have completed their doctoral study in the last five years. Applicants may not previously have held full-time academic posts. The applicant will be expected to have an outstanding educational profile in Computer Science, Information Systems, or related discipline, with evidence of interest and an ability to undertake research in the above-mentioned fields. The successful candidate will be expected to publish at least one journal publications in DoE accredited journals, and at least one DoE-conformant conference paper, during the year of tenure. The successful candidate will be required to enter into a Memorandum of Agreement with the University of Cape Town and a Memorandum of Understanding with his/her Principal Investigator. The successful candidate will be required to comply with the University of Cape Town’s approved policies, procedures and practises for the postdoctoral sector.